In 2008, Howard Schultz returned as the CEO of Starbucks to help restore the company's financial health and refocus on its core values. In Onward, he shares the story of the company's turnaround, revealing how, during one of the most tumultuous economic periods in recent history, Starbucks once again achieved profitability without sacrificing humanity. Onward is a fast-paced, unpredictable journey of highs and lows that will leave readers with a better understanding of what it means to be "about so much more than coffee." Much more than a business book, it's an inspiring recount of how hundreds of people came together to get back to what they do best and recapture what matters most. 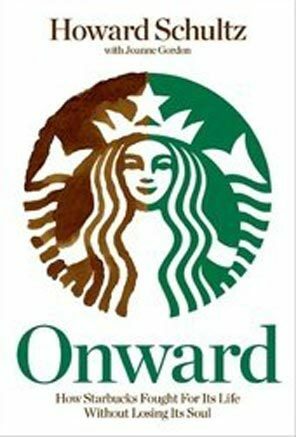 Onward is now available to purchase at Starbucks stores and all good book sellers.